The application of this technology to shipping is tested and proven. It was first developed by German aviation engineer Anton Flettner who fitted what he called ’rotors’ to a ship in 1926 and successfully completed an Atlantic crossing. During his sea trials, Flettner found that his ’rotors’ were more efficient than traditional sails at producing lift, required fewer crew, and enabled his ship to point higher into the wind then conventional sailing craft. At the time predictable passage making was the key criteria for maritime transport and fuel costs were not prohibitive. 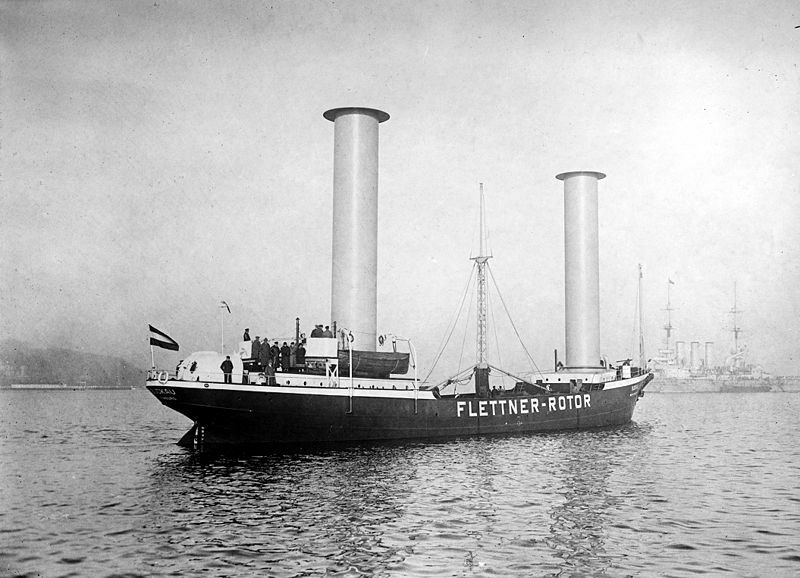 The potential of Flettner’s discovery largely remained untapped while the shipping industry enjoyed the profits and predictability enabled by inexpensive fuel relative to today. Today, this is no longer the case.